The bridesmaids’ ensembles offer a way to add an additional dimension to your wedding colors. 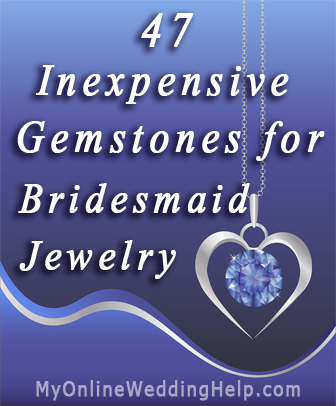 One way to do this is with gemstone jewelry. 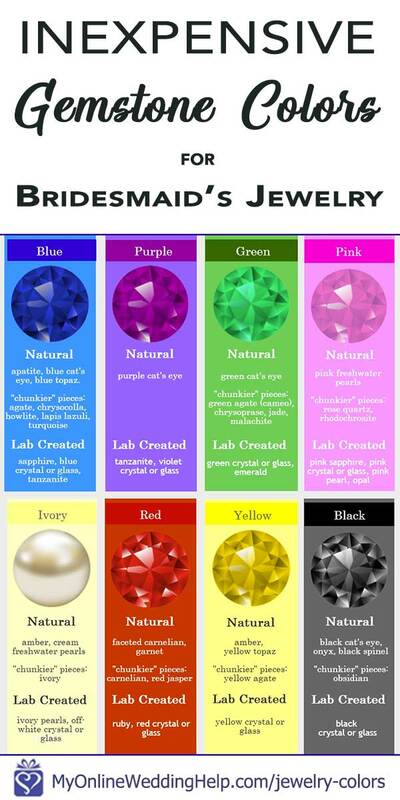 Budget-friendly gemstone ideas for each of the most popular wedding colors.